If you’re looking for Divine Magazine’s Summer Blog Hop, go here. Great prizes, so you should check it out! 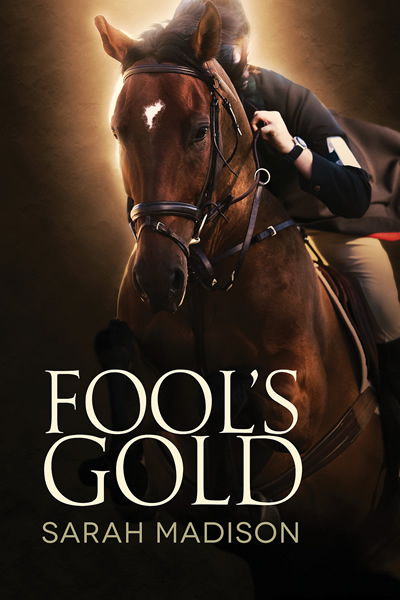 As for Fool’s Gold, I decided to go with KDP select and Kindle Unlimited on a trial basis. I’ll let you know what I think in a couple of months. In the meantime, you can borrow it through KU or order it from Amazon. If you prefer a print copy, you can get it here. Hey, if you run into me at a convention and you have one of my books with you, I’ll be happy to sign it for you, too! In the meantime, the dogs managed to get themselves skunked tonight, so I’m off to bathe… well, everything. This entry was posted in Uncategorized and tagged announcements, blog hop, book tour, eventing, Fool's Gold, gay romance, GLBTQ, horses, male male romance, promo, Sarah Madison, writing by Sarah Madison. Bookmark the permalink.